Waste Management opens electric vehicle conversion workshop where diesel trucks are being turned into EVs for New Zealand streets. 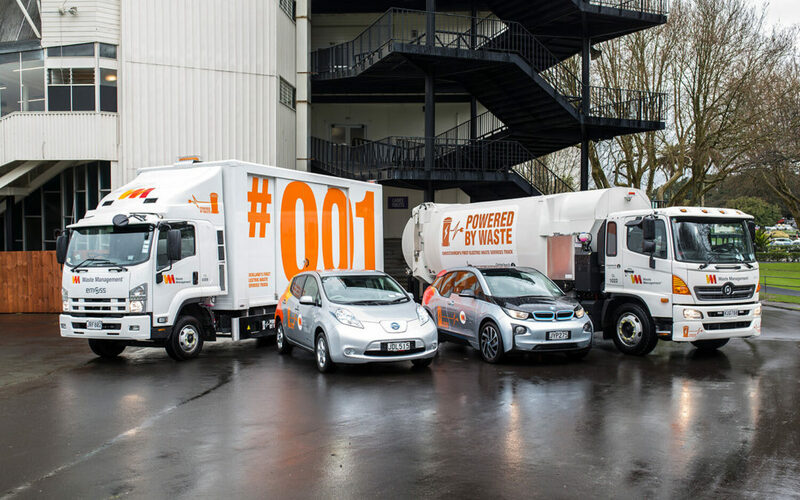 Auckland, 29 March 2018: Waste Management NZ today opened New Zealand’s first workshop dedicated to converting diesel trucks into electric vehicles. The company plans to convert 20 of its national truck fleet in the next two years. The first conversion is almost completed and the truck will be used to collect waste from Auckland Hospital. In addition, the workshop is also open to other companies looking to transform their vehicles into EVs. Tom Nickels, Waste Management Managing Director, says he is delighted to open the workshop in what is a major step forward for both the company and electric vehicles in New Zealand. “Our investment in the EV workshop will create a knowledge centre for EV conversion in New Zealand and will help us move towards our long term goal of a fleet of fully electric vehicles. The Government’s Low Emission Vehicles Contestable Fund, administered by EECA, contributed $500,000 in 2017 to help build the workshop and convert the first two trucks as part of its commitment to EV development. Waste Management announced its move towards a fleet of electric vehicles in September 2016 as part of its sustainability commitment. Since then the company has launched the Southern Hemisphere’s first sideloader electric truck for residential wheelie bin waste collections, which has started work on Christchurch streets. Another sideloader electric truck will soon be in operation in Auckland. This is in addition to the electric box body truck which started work in Auckland in November 2016. Waste Management has also added more than 20 electric cars within its light fleet during this time. “Our move towards electric vehicles reflects our place in a circular economy, where our vehicles can be ‘powered by waste’. Through our modern, sustainable landfill and energy parks we generate renewable electricity from the gas we capture from the decomposition of waste that we collect,” says Nickels. Up to 95% of gas emissions are captured through this process, putting enough power back into the national grid to power over 18,000 homes nationally.